'06 2500 front drivers seat? Can I buy a new pad and cover for my torn up seat and fix it myself? The driver seat always seems to get torn up. yep, dealers can get them. they are expensive but fit perfect. you can also have an auto upholstery shop fix the torn cover. typically they sew in a new piece. Maybe that's better just put on a aftermarket on top. I recently replaced my driver's seat foam cushion, but the fabric was fine so I reused it. Below is a link to The Seat Shop (I actually bought it through Amazon, but it was their product... same price). They also have videos to help with the process (you might have to search for the videos on YouTube)... The process was pretty easy, just remove the recline lever, plastic molding, and the seat back (be careful if your seat has an airbag, so you don't break the wire... I disconnected my battery just in case). 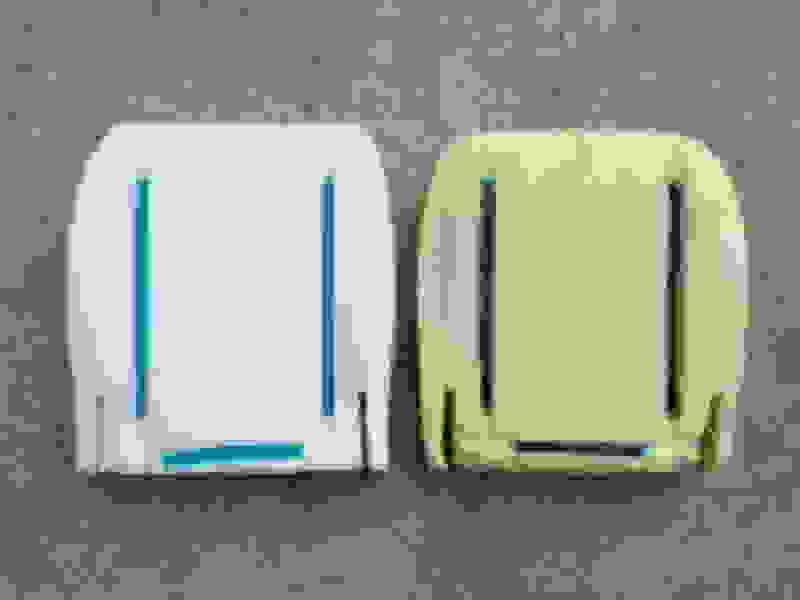 Unroll the front edge clip that holds the upholstery, and remove the bottom seat cover. Slide the foam out. 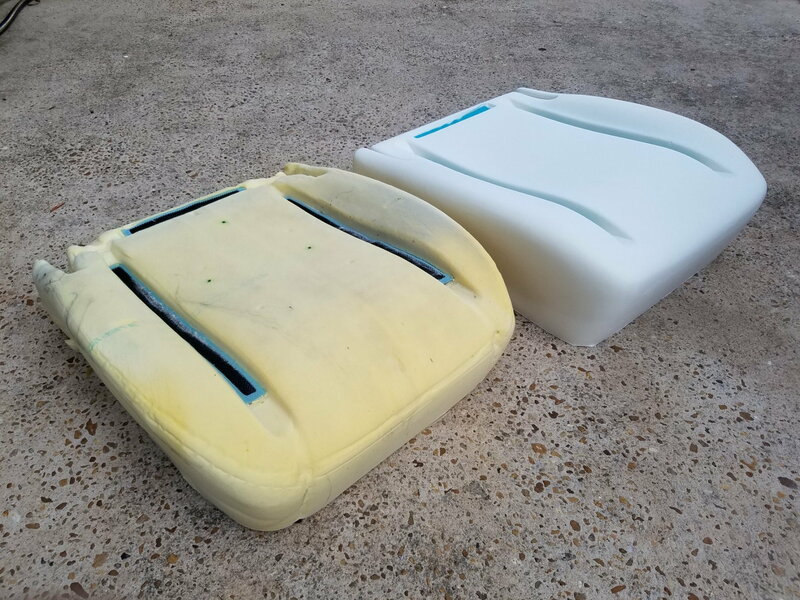 Install the new foam and new upholstery (or reuse the old cover) in the opposite order. Put everything back on the seat and you are good to go. The hardest parts were getting the seat back to align with the bolt holes (I did the job by myself) and getting the front upholstery clip in place during the install phase (it wraps around the front half of the seat... PITA!). The new foam is more dense, which creates a slightly taller seat position in the van. It's still comfortable (relatively speaking... in general, I think these seats are junk, but I'm not prepared to pay for new seats and I don't have time to retrofit something else in their place). Alternatively here are a couple other options depending on your situation (foam only though). One appears to be for seats with power and the other is non-power? I couldn't tell the difference, and didn't want to buy the wrong thing, which is partially why I went with The Seat Shop (mine was for a 2016 3500, but it's the same seat). In the pictures the old foam doesn't look too bad, but it didn't seem very supportive, which is why I replaced it. The new foam was definitely an improvement, but it just made me realize that the whole seat is generally terrible. New foam from The Seat Shop on the left, old foam on the right. 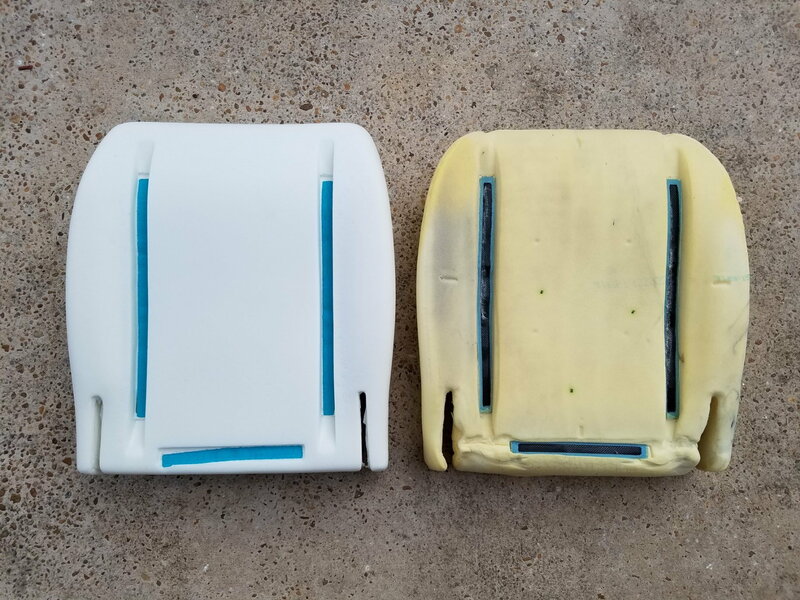 Old foam on the left, new foam from The Seat Shop on the right. I recently replaced my driver's seat foam cushion, but the fabric was fine so I reused it. Hi, did you remove the driver's seat to replace the foam and cover? Nope... I left the seat base installed, and only removed the seat back, and the necessary plastic parts to get to the foam cushion. There's a couple wires to be careful with (one is for the seat airbag). It's a little tight leaving the seat in place, but doable. It would probably be easier to completely removed the seat, but I lacked the right sized socket to take the seat out when I did it. Hi, did you find a video for a late model van? The Seat Shop video was up to 2002, wondering if my 2008 is the same. The socket size for the seat bolts is an 18mm deep well. I will probably remove the seat when I do mine, thanks for the info. Last edited by Twscarp; October 25th, 2018 at 10:11 PM.